Wind energy is the single most important and best developed renewable energy in Spain, and continues to be one of the alternative energy sources with the greatest potential for growth. Wind energy is exploited by means of wind-powered generators that transform wind energy in electricity, which is then directly fed into the public distribution or transport network to be sold from there. Wind-powered generators can be installed as stand-alone equipment or as an entire plant called wind park. 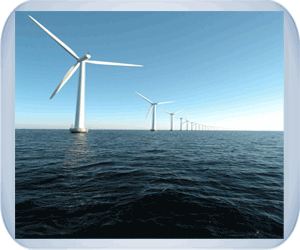 Our contractors are duly licensed to install wind energy systems. During the installation process, they will comply with all valid regulations and carry out the installation as indicated in the project specifications designed by the responsible engineer or technician. Our staff and contractors will at all times comply with relevant regulations on health and safety. In all cases, licensed electrical specialists will be responsible for carrying out the installations. Finally, to meet all legal requirements, every installation will be duly certified and documented accordingly by means of a technical report. Upon request, we also take care of all legalisation procedures that need to be carried out through the Ministry of Industry, as well as any necessary administrative procedures with the regional electricity supplier Unelco Endesa. In chalets, wineries and holiday resorts etc. Lighting of industrial premises, water pumps for animal consumption, irrigation, electrical supply for machinery etc. Please don't hesitate to contact our engineering department in case you have any questions regarding wind energy systems.